Dr. Ponder will appear on KMSP Channel 9 Saturday at 7:45 am. Dr. Ponder will appear on KMSP Channel 9 at 7:45 am Saturday. 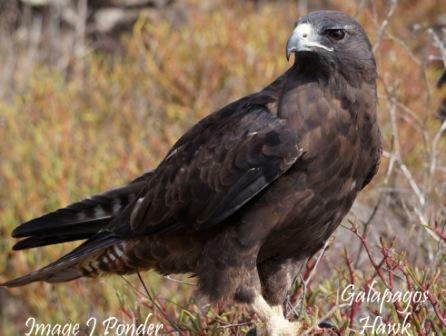 She will talk about her experiences with the Galapagos Hawks and the ecological work currently being done on the island of Pinzon. 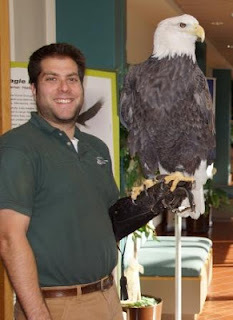 TRC staff and one of our education ambassador eagles will appear Saturday at the Fan HQ store, Ridgedale Center, Minnetonka. Twins starting pitcher Cole De Vries is signing autographs from 11:00am – 12:00noon, and his charity of choice is the US Wounded Soldiers Foundation. To support our military members, TRC will have a bald eagle present prior to the autograph signing from 10:00am-11:00am.